joans brother with JB. . Wallpaper and background images in the দ্যা জোন্স্‌ ব্রাদার club. This দ্যা জোন্স্‌ ব্রাদার photo contains ব্যবসা উপযোগী. There might also be মামলা and জামাকাপড় মামলা. i dont care i love them both!!!! nah...whoever's named this pic should hv named it as-''the jonas brothers with a shorty gay looser-called bustin jeiber''.....duh.....lol...but i actually mean it! Joe Jonas + Nick Jonas Rocks!!!!!!!!!!!!!!!!!!!!!!!!!!!!!!!!!!!!!­!!!­!!!­!!!­!!!­!!!­!!!­!!!­!!!­!!!­!!! 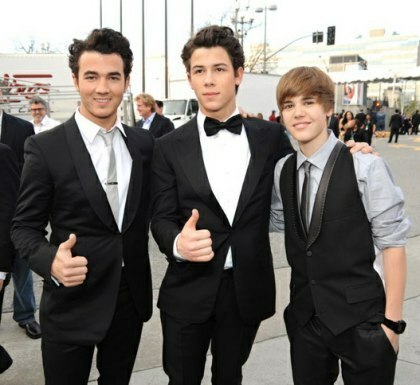 i love justin bieber and nick jonas who eva dont like them can die sad and alone if they are such haters!! !